The mainstay of crustpunk scene from Medan, Indonesia since 2002. RKA already have 8 albums and 3 splits on carved on their portfolio, yet this &apos;Mainkan Mainmu, Kumainkan Mainku&apos; could easily be their best material to date. Six aggressive, angry and straight-forward blasting punk tunes by this trio of Batox, Tulank and Ogex. 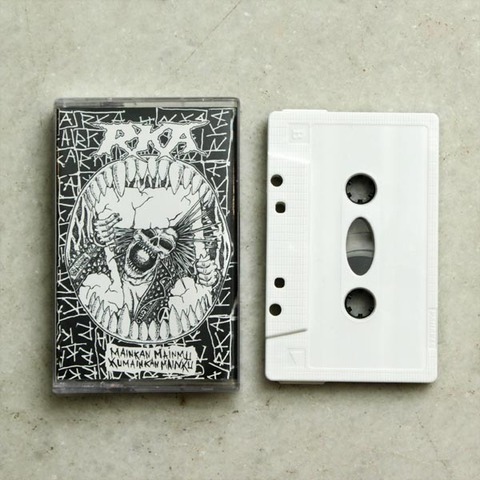 Comes in white shell cassette and released by Tulank&apos;s own label, BUKAN RECORDS.